Are you choosing 2018 as the year to overhaul your curb appeal? We’re creeping up on one of the best times of the year to make those much-needed improvements, especially if your exterior is outdated and causing your utility bills to climb. With tax returns on the way and springtime showing up before you know it, it’s time to start thinking about how you’ll give your home a new glow this year. Are you dreaming of a stylish home with dark tones? This is one of the trendiest picks for home siding this year. Plenty of dark tones are available, such as browns, greys, and even some hues of blue. While dark tones make a big impression, consider contrasting those dark tones with lighter accents. You can see on the home to the side, that the soffit, trim, and porch railings are white. This gives the home a modern appearance with beautiful contrasting that catches the eye. While dark homes with light accents are striking, dark-colored doors make a dramatic impression all on their own. This black door gives a stately appearance against the light gray siding. 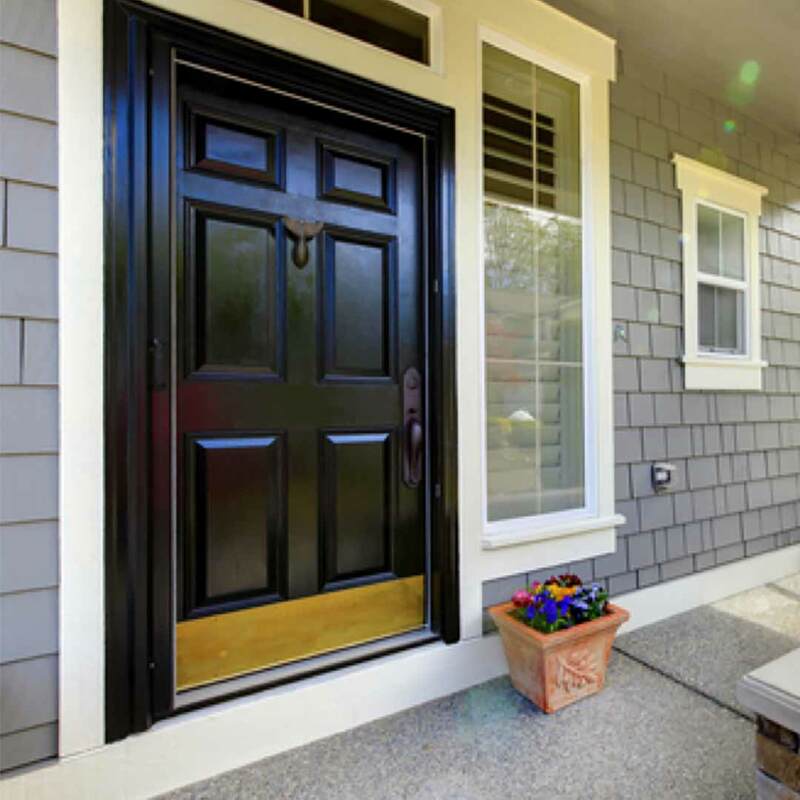 By choosing a dark fiberglass entry door, you’ll enjoy both convenience and beauty. Fiberglass doors require essentially no maintenance, unlike traditional wood doors. You can order entry doors in dark colors such as black, forest green, musket brown, wineberry, Bordeaux, and even wood stain such as dark walnut. If your style is on the bold and bright side, this is a great opportunity to play with unique and interesting hues. The purple entry door and shutters easily pop against the beige backdrop. 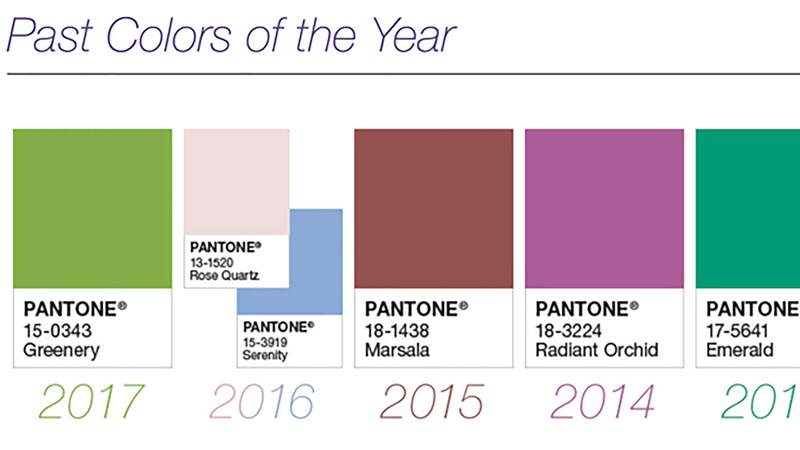 Don’t dismiss purple as a color for your exterior too quickly—remember that ultra violet is Pantone’s color of the year for 2018. While it’s fun to go bold—whether it’s dark or bright—a home with a neutral color scheme can look just as grand. This home beautifully showcases neutral tones of grey, beige, and white working together. 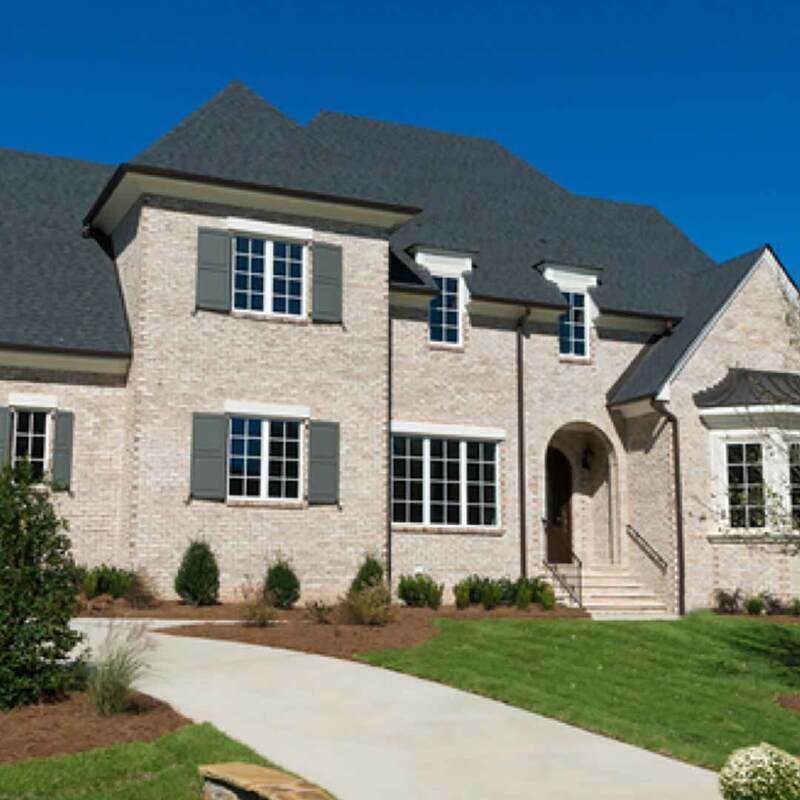 The dark grey work beautifully accents the exterior brick, with gray shutters complementing the roof. The vinyl window frames and grids are white and add a majestic appearance to this large home. When homeowners install vinyl siding, many don’t think about picking more than one color for the panels. 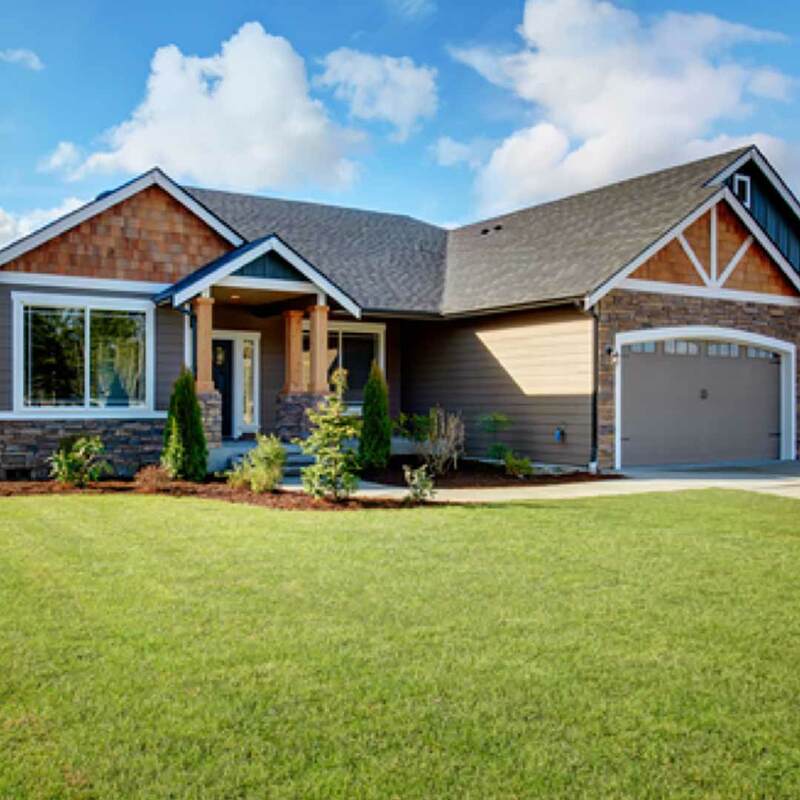 However, going two-tone with vinyl siding panels can create a very interesting and eye-catching curb appeal. 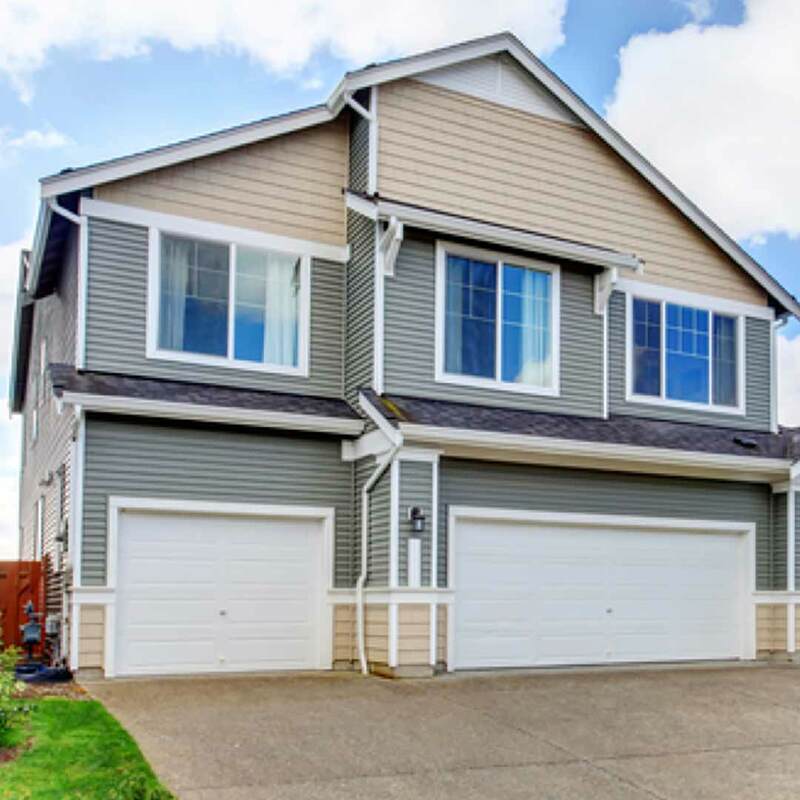 This home uses beige siding on the top and bottom of the exterior with gray siding in the center. It’s accented with white trim, white windows, and white garage doors. If you’re a lover of rustic curb appeal, you’re in luck. 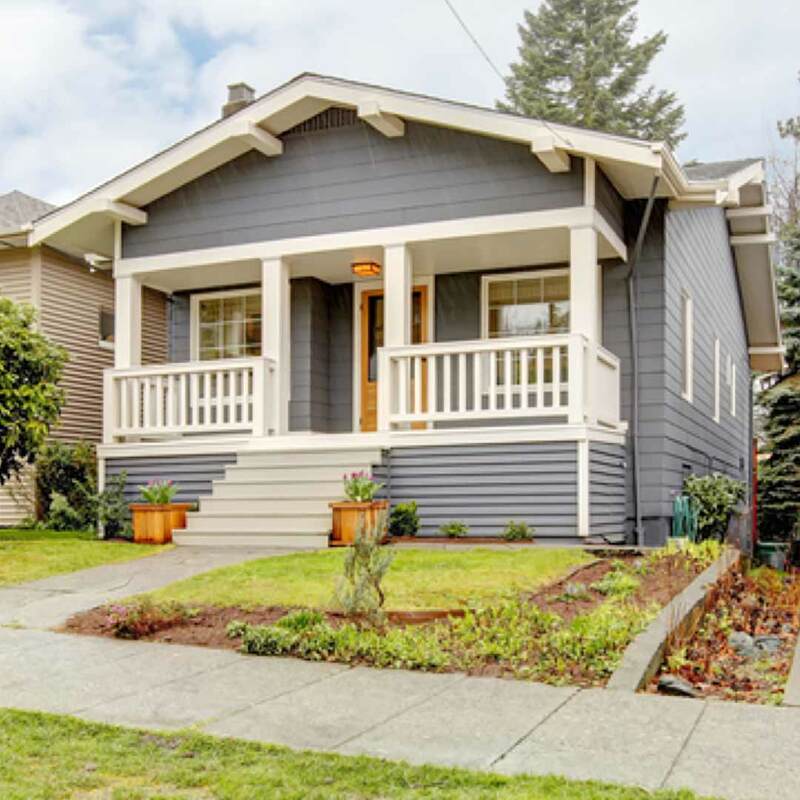 This is a trending exterior option that makes the home feel like it’s located near the coast or a forest, even if it’s right in the center of town. This home is wonderfully modern yet rustic at the same time. The intricate details of vinyl cedar shakes mixed with streamlined vinyl make this home the star of its neighborhood. Wood is beautiful, but it’s exhaustive and expensive to maintain. It requires a lot of attention as its prone to warping, rotting, peeling, and chipping. Even worse, if you neglect to maintain the wood, the rot can become so bad that it crumbles away. The photo on the side, shows how you can easily add warmth to the home with looks-like-real-wood products. Vinyl cedar shakes are designed to look and feel like the real deal. However, they cost a lot less than real cedar wood—and they’re also a lot friendlier for the environment. While color makes a big impact on the exterior of the home, don’t forget that texture and interesting shapes can take your exterior to the next level. #1: Install Vinyl Scallops: One option is to consider adding vinyl scallops to the home. These are distinctively beautiful additions to the exterior that highlights window boxes and eave edges. They are one of the keys to emphasizing a home’s style, and they blend beautifully with both old and new architecture. Vinyl replacement windows don’t necessarily need to be white. There are numerous vinyl exterior colors that beautifully blend with many homes, including brick red, green, and architectural bronze. 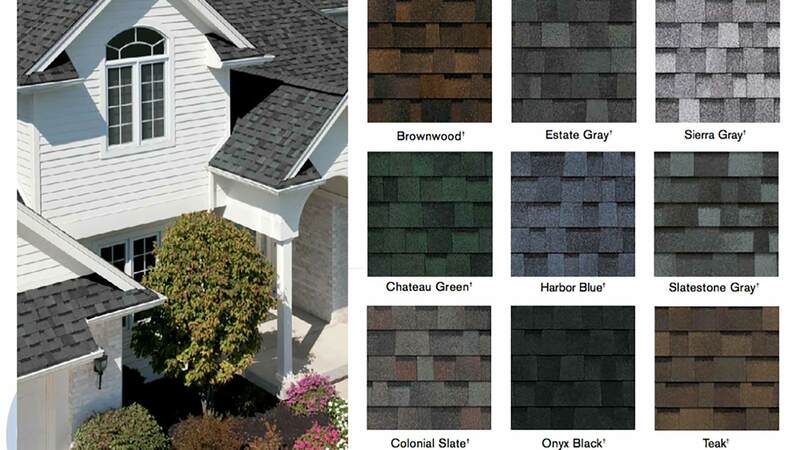 While black is a popular color for roofing, there are dozens of color options to consider. Instead of a black roof, consider topping off the home with a color such as Driftwood from Owens Corning. It brings depth to the roof with shingles of variable colors in similar families. For a roof color that makes a statement, choose Terra Cotta or Chateau Green. 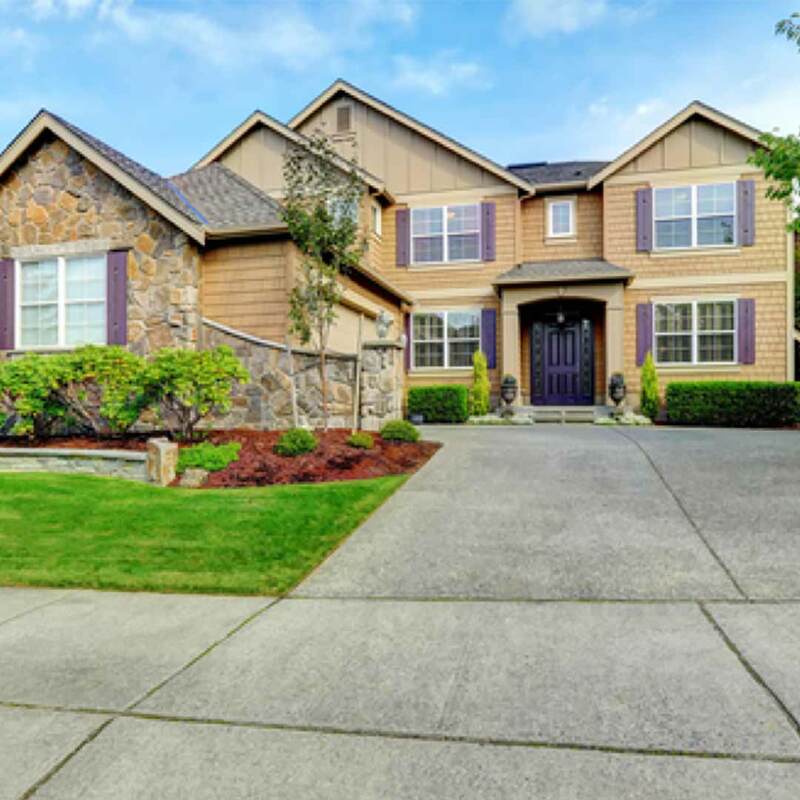 How Will You Improve Your Curb Appeal This Year? Universal Windows Direct gives homeowners access to hundreds of styles and mix-and-match combinations for siding, roofing, replacement windows, and entry doors. Contact us now for more information on designing your dream exterior.